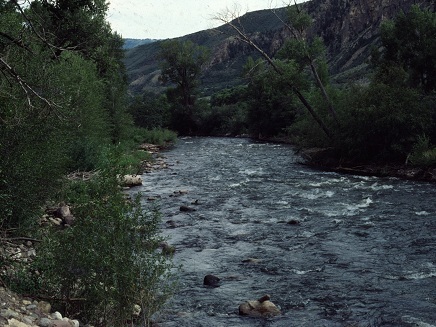 The Duchesne River is located in the Uinta Basin in Northeastern Utah. Its headwaters are Mirror Lake and the surrounding drainage in the High Uintas. It flows through Myton, UT. Check the current fishing guide for regulations. Statewide trout limit should apply. The Duchesne is an excellent river to flyfish. In mid to late summer, terrestrials such as hopper imitations can be very productive.